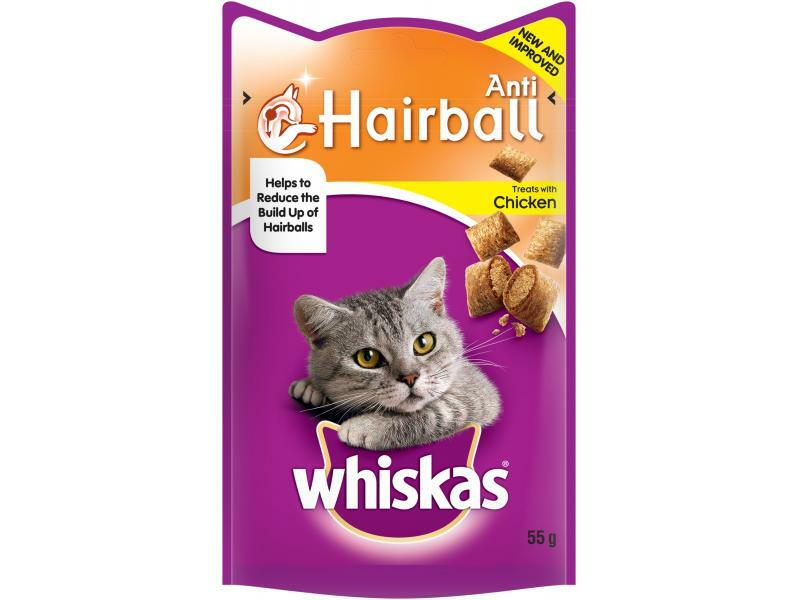 Whiskas Anti Hairball cat treats are crunchy little parcels with a tasty soft centre. Feed them as a treat, reward or snack to your cat and the treats will help to reduce the build up of hairballs. Vegetable Protein Extracts, Cereals, Meat and Animal Derivatives, Oils and Fats, Derivatives of Vegetable Origin, Minerals, Milk and Milk Derivatives. Feed up to 10 treats per day as a reward, snack or treat. Make sure there is always clean water available. 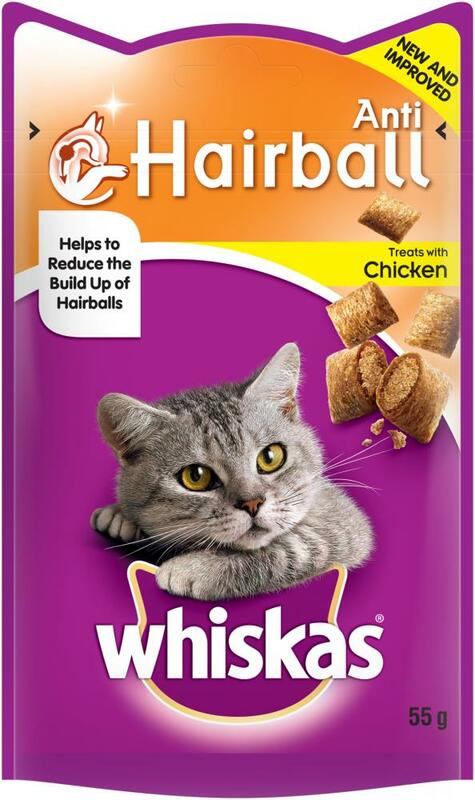 There are currently no questions for Whiskas Anti Hairball Cat Treats - be the first to ask one!